Tubefab manufacture high quality Shop fittingsShelvingFolding tablesWorkbenches for the home, garage or workplace. To offer the best quality in products and service, from small one-off jobs for the home to commercial lots of steel fittings. We have the knowledge and expertise to manufacture to your specific engineering requirements. From your initial concept we can provide CAD drawings and then complete the projects, adhering to our principles of consistently manufacturing to high standards and delivering the finished products in a timely manner. Tubefab is Owned by Danny and Jenny Knight. We purchased the business in September 2018 and have great hopes for the future of the business. Manufacturing in NZ against the many import options that are available has its challenges but we believe that a strong, recognised locally made product will always have a market. We are looking to expand our range and options for the fast-paced world we live in. You will find our folding round and trestle tables in many community halls, sports clubs, churches and event venues in NZ, Australia and even in Antartica. We have 8 staff onsite and carry out light steel manufacturing and fabrication. We have a large number of roll formers, presses, benders, welders, powder coating facilities and our own wire working bay. We can produce anything from a single unit to a container load of product. We can also solve your storage and display furniture problems with innovative and cost-effective solutions.  Tubefab continues the tradition of Quality products built with care. 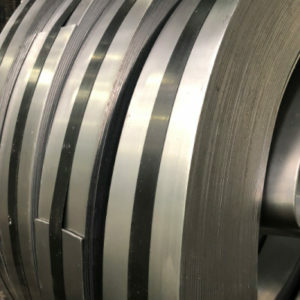 We are looking to build the business and ensure that the Tubefab name is recognised as being the best NZ made steel products both here and overseas. We look forward to bringing Tubefab to you via an increased online presence with a large range of product with multiple ways to buy, or stop in and see us at 97 Harman street – we would love to see you! Tubefab was started in 1961 by Brian and Gwen Black. The Black’s were dedicated to building products that stood the test of time in an efficient manner and hiring local tradesmen to carry out the work. Tubefab has been at its current location in Harman Street in Central Christchurch since 1978. The business was Sold to Father and Daughter, Doug Henderson and Suzanne McInnes in 2005 before being sold in 2018 to Danny and Jenny Knight.